If the town square now includes public discourse online, democratic governments in the 21st century are finding that part of civic life now includes listening there. Given what we’ve seen in this young century, how governments deal with social media is now part of how they deal with civil liberties, press freedom, privacy and freedom of expression in general. At the end of Social Media Week 2012, I moderated a discussion with Matt Lira, Lorelei Kelly our Clay Johnson at the U.S. National Archives. This conversation explored more than how social media is changing politics in Washington: we looked at its potential to can help elected officials and other public servants make better policy decisions in the 21st century. I hope you find it of interest; all three of the panelists gave thoughtful answers to the questions that I and the audience posed. 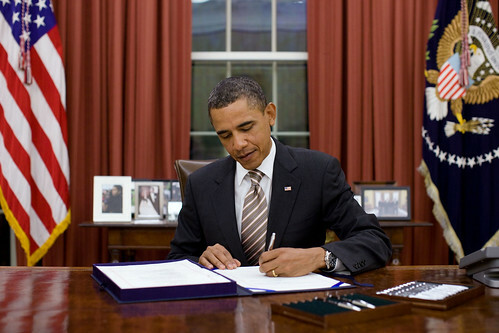 On January 18, 2011, President Obama issued an executive order directing that regulations shall be adopted through a process that involves participation. 13 months later, the nation’s primary online regulatory website received an overdue redesign and, significantly, a commitment from the administrator of the White House Office of Information and Regulatory Affairs (OIRA) to make regulatory data available to the public. …the President issues Executive Order 13563, in which he directed regulatory agencies to base regulations on an “open exchange of information and perspectives” and to promote public participation in Federal rulemaking. The President identified Regulations.gov as the centralized portal for timely public access to regulatory content online. In response to the President’s direction, Regulations.gov has launched a major redesign, including innovative new search tools, social media connections, and better access to regulatory data. The result is a significantly improved website that will help members of the public to engage with agencies and ultimately to improve the content of rules. The redesign of Regulations.gov also fulfills the President’s commitment in The Open Government Partnership National Action Plan to “improve public services,” including to “expand public participation in the development of regulations.” This step is just one of many, consistent with the National Action Plan, designed to make our Federal Government more transparent, participatory, and collaborative. New Regulations.gov and Web design. New Application Programming Interfaces (APIs) and standard, Federal Register-specific URLs. Application Programming Interfaces (APIs) are technical interfaces/tools that allow people to pull regulatory content from Regulations.gov. For most of us, the addition of “APIs” on Regulations.gov doesn’t mean much, but for web managers and experts in the applications community, providing APIs will fundamentally change the way people will be able to interact with public federal regulatory data and content. The initial APIs will enable developers to pull data out of Regulations.gov, and in future releases, the site will include APIs for receiving comment submissions from other sites. With the addition of APIs, other web sites – ranging from other Government sites to industry associations to public interest groups – will now be able to repurpose publicly-available regulatory information on Regulations.gov, and format this information in unique ways such as mobile apps, analytical tools, “widgets” and “mashups.” We don’t know exactly where this will lead us – technological advances are full of surprises – but we are likely to see major improvements in public understanding and participation in rulemaking. While the APIs will need to be explored and the data behind them assessed for quality, releasing regulatory data through APIs could in theory underpin a wide variety of new consumer-facing services. If you’re interested in the APIs, click on “Developers – Beta” at Regulations.gov to download a PDF with that contains API directions, URLs and information about an API Key. As the cover story of this month’s issue of The Economist highlights, concerns about an over-regulated America are cresting in this election year, with headlines from that same magazine decrying “excessive environmental regulation” and calling for more accurate measurement of the cost of regulations. Deleting regulations is far from easy to do but there does appear to be a political tailwind behind doing so. We’ll see if an upgraded online portal that is being touted as a means to include the public in participating in rulemaking makes any difference in regulatory outcomes. Rulemaking and regulatory review are, virtually by their nature, wonky and involve esoteric processes that rely upon knowledge of existing laws and regulations. While the Internet could involve many more people in the process, improved outcomes will depend upon an digitally literate populace that’s willing to spend some of its civic surplus on public participation. To put it another way, getting to “Regulations 2.0” will require “Citizen 2.0” — and we’ll need the combined efforts of all our schools, universities, libraries, non-profits and open government advocates to have a hope of successfully making that upgrade.